Which teams will be participating in the 2018 World Cup? Which are the up-and-coming players to watch out for? What will the coaches strategies be, or what will the games in Russia look like? Football enthusiasts dont have to look further to find answers to these questions. THE World Cup 2018 Book is a fun, informative guide to the football World Cup in Russia. The book provides all the information anyone would want to know about the World Cup, including in-depth detail about all 32 teams-the players, coaches, their histories, and strategies-and background information on each Russian stadium that will host a game, past World Cups, along with a look at FIFA (the organizing body of the World Cup). Not only will readers find information on the current teams and playing conditions, but they will also gain a bit of insight into the history of the World Cup. Through detailed descriptions and fun anecdotes, author Shane Stay will make football fans feel as though they are there at the Cup. 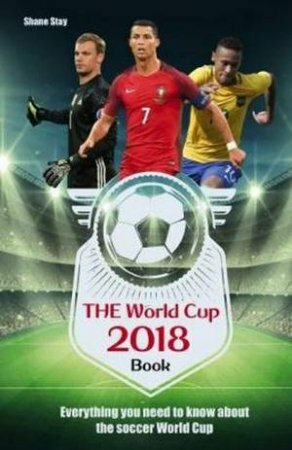 Experience the World Cup with THE World Cup 2018 Book and know all there is to know about the 2018 football World Cup!